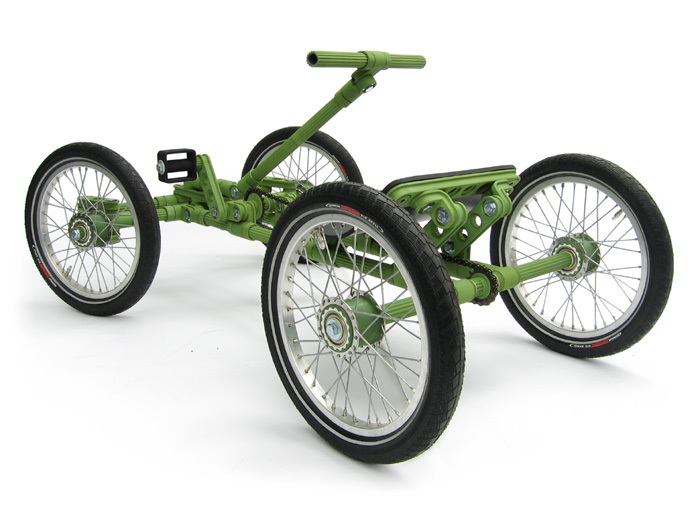 A toy concept with which children can build their own bikes, karts and other constructions. 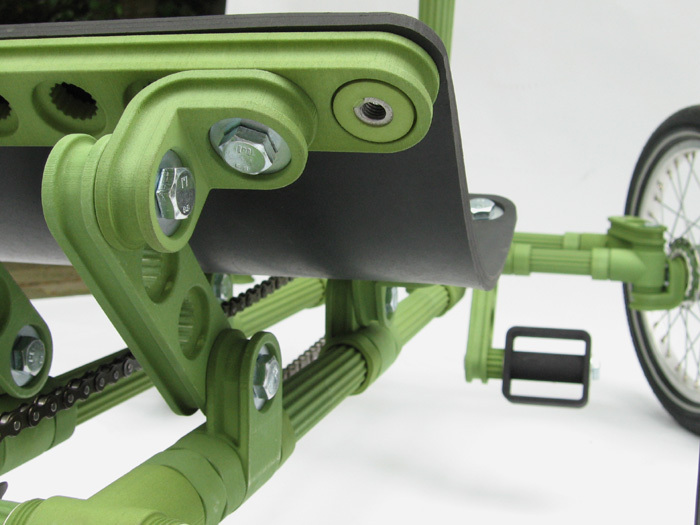 The set consists of tubes and connector pieces that can be assembled to a frame and an axle system that provides for working mechanisms. via Construction Toy : Wouter Scheublin.